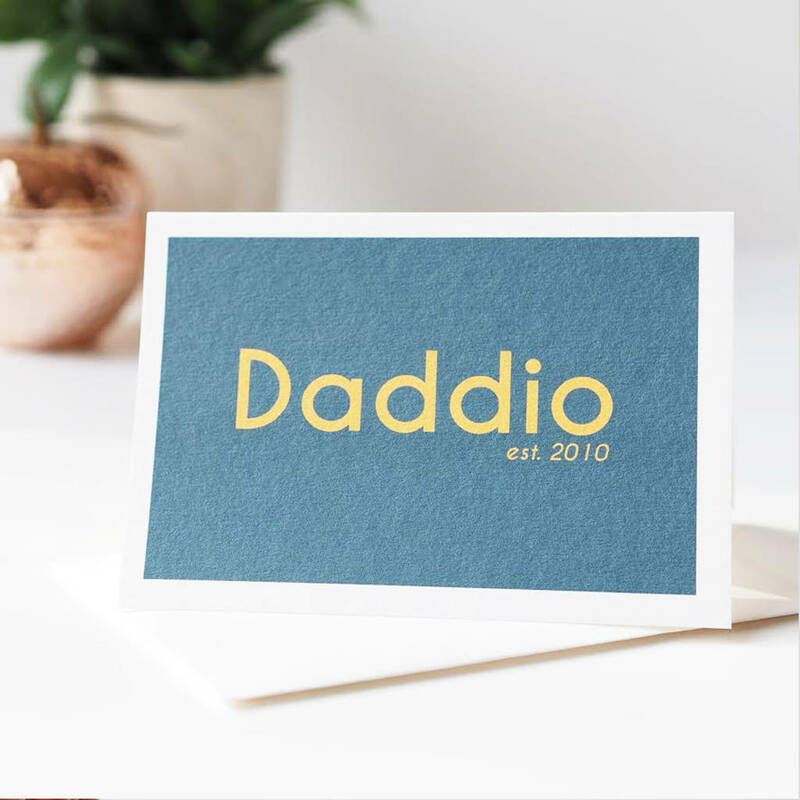 Personalise this Daddio Father's Day card with the year he became a father to make it an extra special keepsake card for dad. 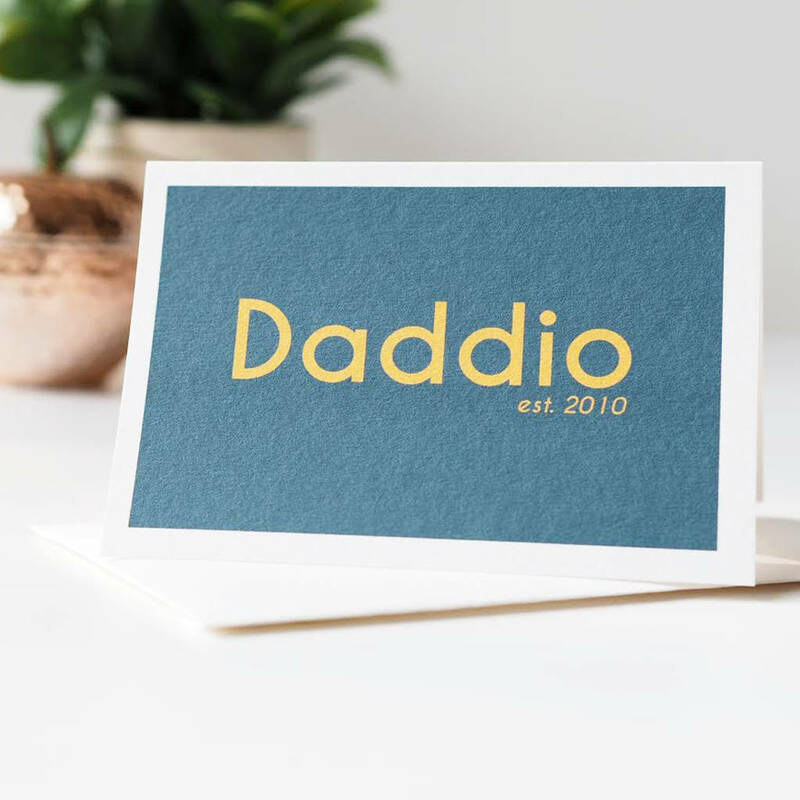 This stylish card for dad would make a great card for Father's Day. 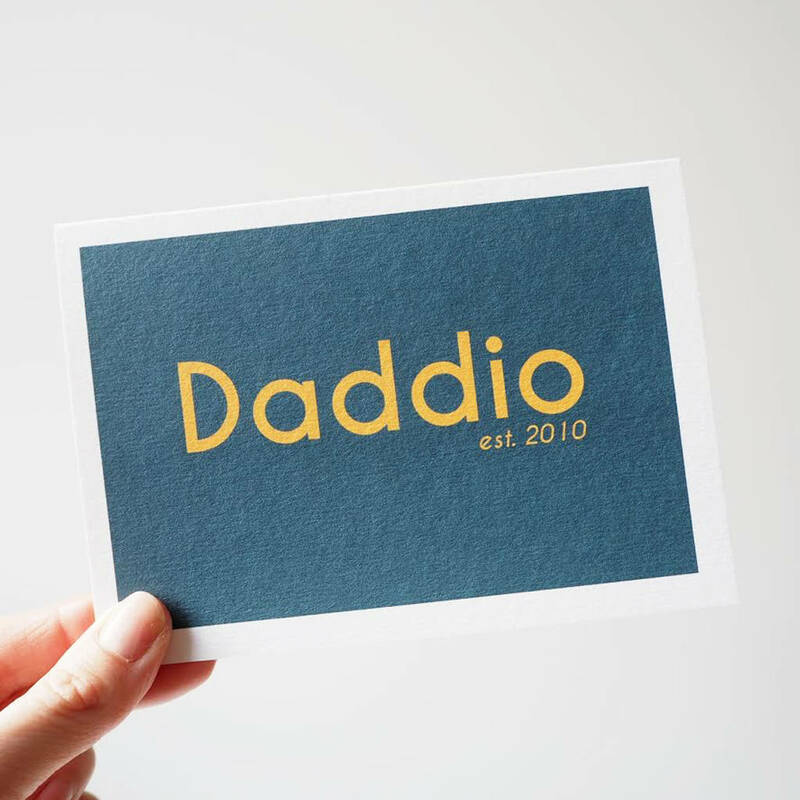 One that Daddio will cherish for years to come.